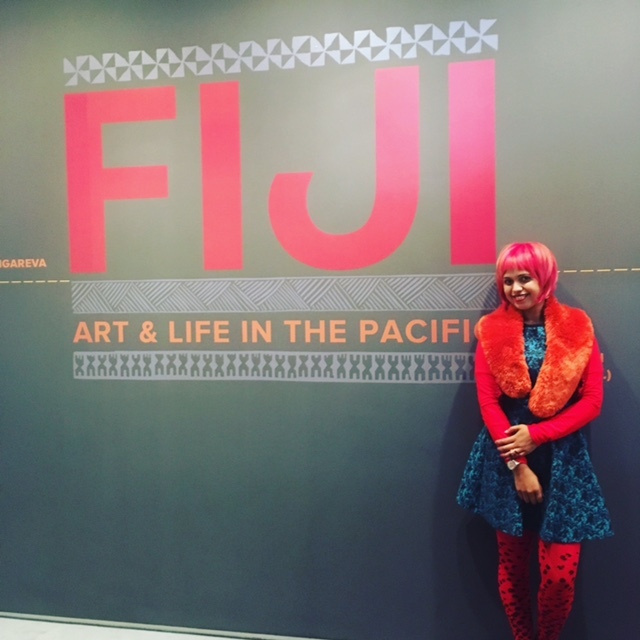 Fiji Art & Life In The Pacific – the biggest exhibition about Fijian art ever! 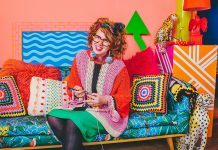 I’m a little bit obsessed with the fantasy of Polynesia – the popular culture version of exotic islands, the kitsch tiki chic side of themed cocktail bars, bright floral leis and tribal dancing – to the point I’ve even attended Polynesian dance classes at Pineapple Dance Studios in London, but the truth is, that’s all stereotypes. I actually don’t know much about Fiji, other than the fact I really, really want to go there! 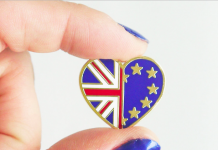 It’s just so unknown to British people. The average Brit will venture to Spain, maybe the US and quite possibly Thailand, but few will ever make it as far as Fiji and the 330 or so islands that make it up. And other than when Fiji takes part in tournaments like the Rugby World Cup, it’s a nation that rarely makes British news. 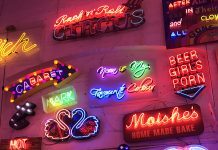 So when I heard there was a new exhibition in the UK, specialising in Fijian art (the biggest exhibition there’s ever been about Fiji outside of Fiji ever), I was intrigued. And despite the fact it’s around 2.5hrs outside of London and I had heaps of work to do the day the exhibition opened, I knew I had to be there! 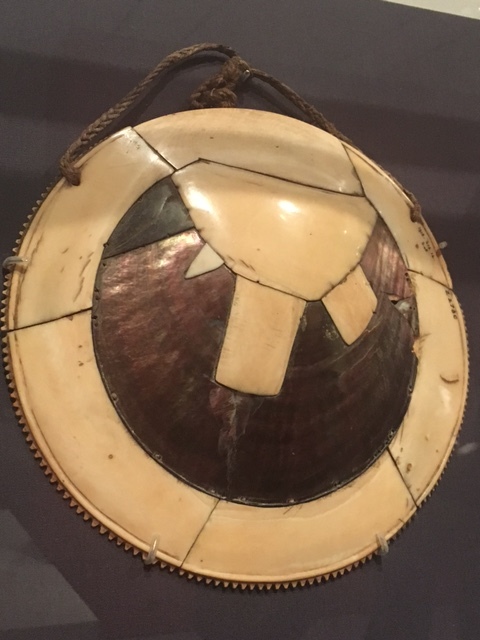 Located at the Sainsburys Centre inside the University of East Anglia in Norwich, the exhibition comprises sculptures, textiles, ceramics, fashion, costumes and ivory and shell regalia. It’s the largest and most comprehensive exhibition there’s ever been about Fiji since the late 18th century (I know, what took them so long?! ), and is the result of a three year project, led and curated by Professor Steven Hooper from the university, who first went to Fiji 39 years ago and has been going back ever since. As it’s housed at a university, it does feel like an ‘academic exhibition’ and there’s plenty of historical artifacts and context, which if like me, you don’t know too much about Fiji, is very useful to help paint a picture. 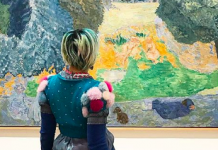 With over 270 works of art to explore you’ll need a good two to three hours to go around and take in the exhibition. 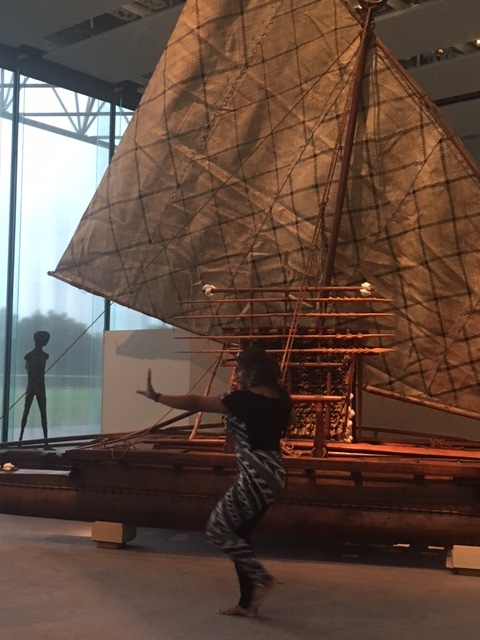 Natural materials are a key feature of Fijian arts and crafts and there are items on show to reflect this like fans made from coconut and hibiscus leaves, and even a large life-size wooden boat. The most fascinating discovery for me was learning about barkcloth as it’s not a material I was familiar with. 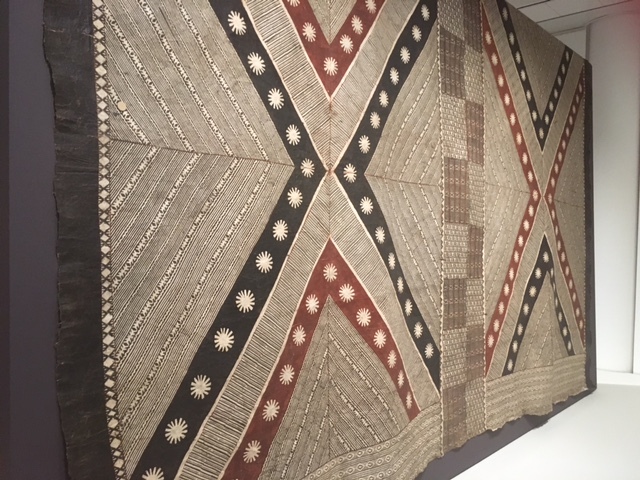 Barkcloth originates from tree bark and it’s a material that can be found throughout islands in the Pacific Ocean. Cultivation takes place all year and production of the material is incredibly labour intensive. Initially you need to extract the bark which is stripped from the inner section of mulberry trees – it is a natural white cream colour. The strips are then soaked and beaten together with mallets, making them felt together. 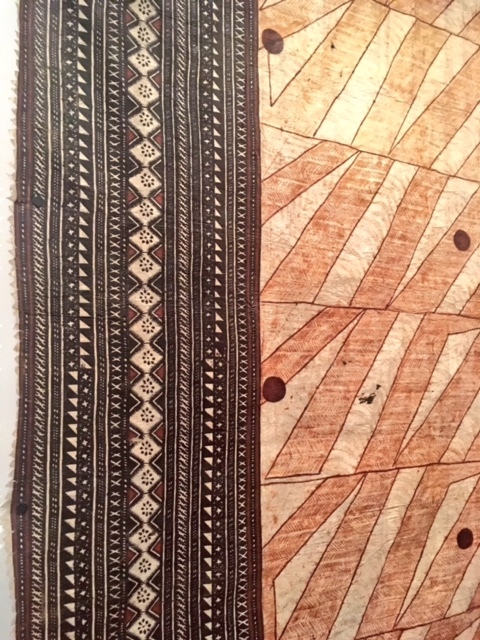 The cloths which are essentially like very strong paper, are then painted or embellished with patterns or prints and designs are stenciled on and that’s how they can be recognised as being from different regions as each region, island and Pacific country has it’s own specific techniques. 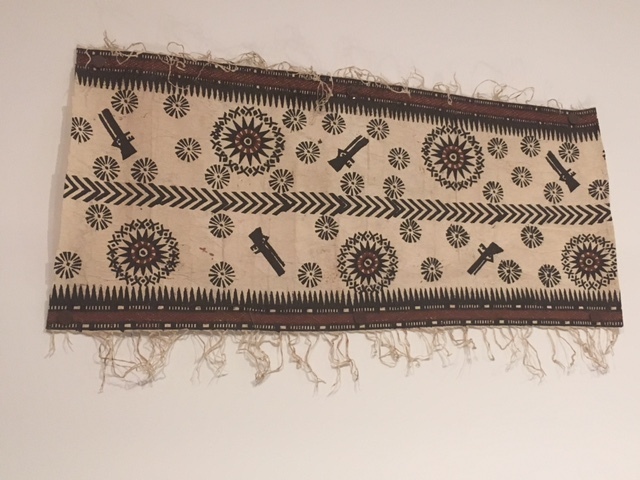 Barkcloth fashion is a fascinating part of the exhibition as it shows how traditional Fijian art is being kept alive through contemporary uses. 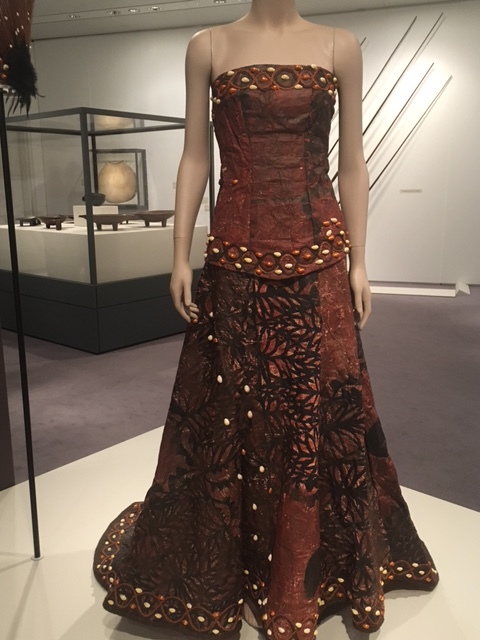 There are several dresses made from barkcloth on display which includes this wedding dress, made in 1993 for a wealthy New Zealand woman. 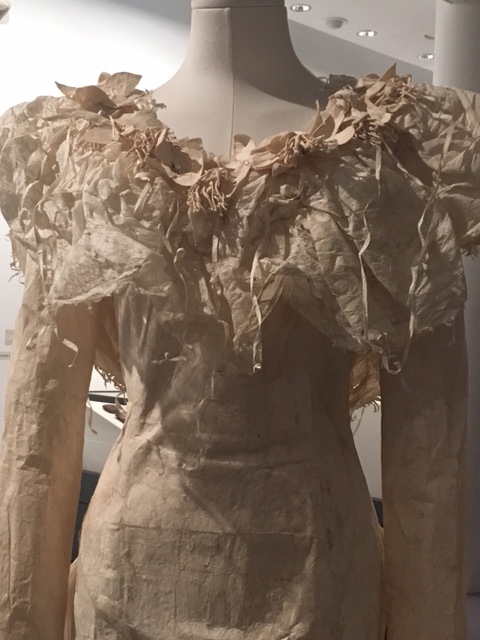 The first time barkcloth was seen as a high-end couture fabric, the dress elevated what was an ordinary material into something special. 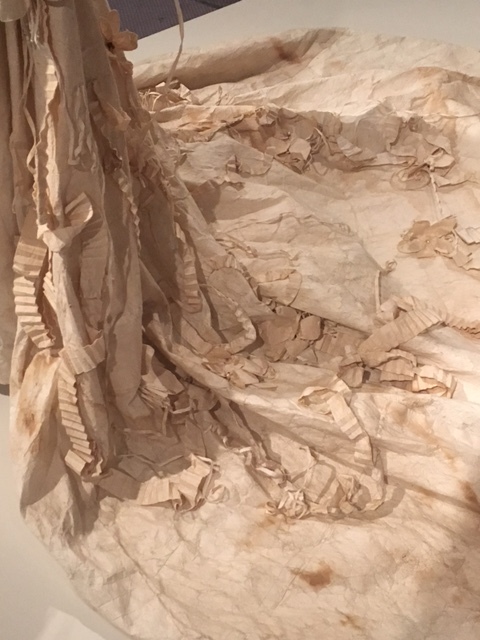 The dress, though made of paper was incredibly sturdy, yet also ever so intricate. To be honest when I read that there would be ivory at the exhibition I felt uncomfortable. I don’t condone any kind of crafts than harm animals and with there being so much recent emphasis on the decreasing number of African elephants because of the continued ivory trade, I wasn’t keen to look at ivory items. But our guide explained that Fijians have no intention of harming animals either. 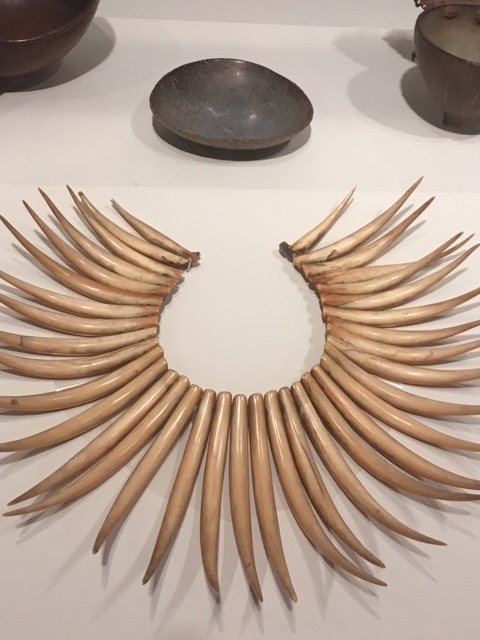 The ivory that’s on display and found in artifacts like breastplates worn by Chiefs, jewellery and weapons comes from whales, so it’s whale ivory – and Fijians only take it from whales that died naturally, and are found beached. 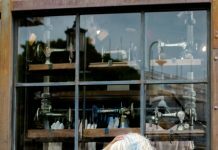 Once I learnt that, I felt much more comfortable being around such incredible feats of craftsmanship. 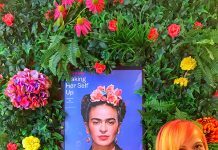 There’s a plethora of handcrafted items around the exhibition like earthenware pots, baskets, instruments and paintings and while you’re there you can even enter a competition to win a trip to Fiji – another good reason to go and check it out!